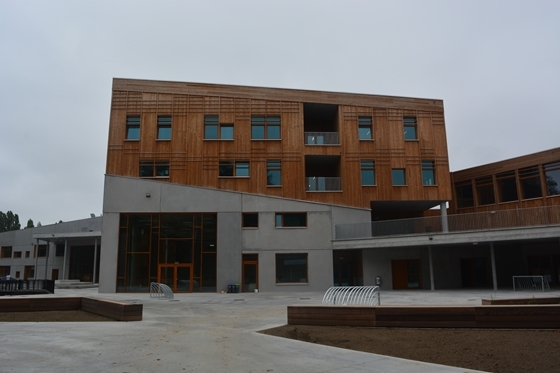 On 1 September, a brand-new zero-energy school opened its doors in Vuurkruisenlaan in Neder-Over-Heembeek (Brussels). Sophisticated interventions create a pleasant indoor climate, as was also evident during the past heat waves. 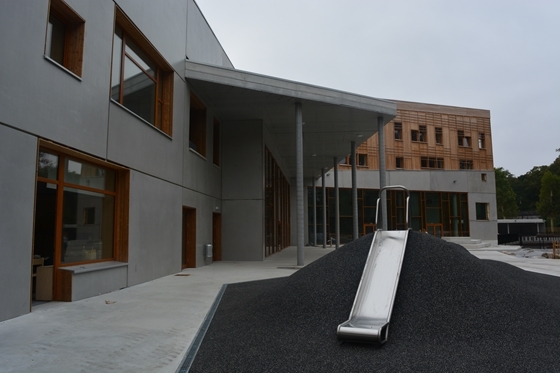 The compound includes a school for over 300 pre-schoolers and a school for about 600 primary-school pupils, each with its own concierge house and canteen, but with a communal kitchen and sports hall. The latter is also open to local residents. 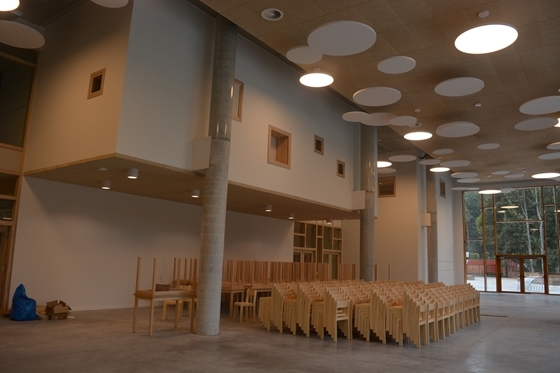 The client (City of Brussels) opted for a Design & Build formula, which involved the main contractor and subcontractors early on in the project. 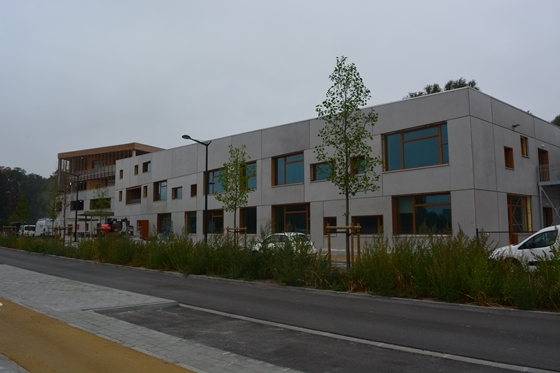 Since the city's climate requirements were strict, Ingenium opted for a zero-energy school concept. 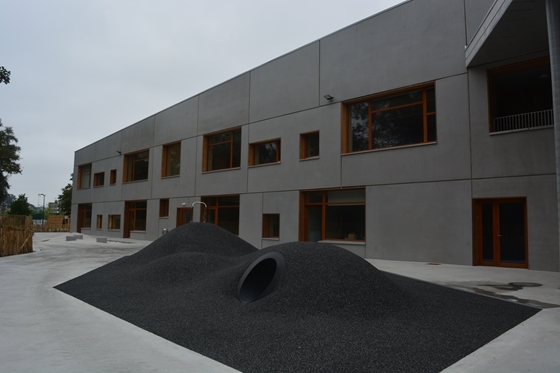 The building’s high level of airtightness, a BEO field with heat pump, system D-ventilation, triple glazing, extensive insulation in the outer walls and a green roof ensure optimal control of the indoor climate. Overheating was a particular concern. The indoor temperature may not exceed 25 degrees for more than 5% of the annual operating time. Ingenium provided sun protection on three sun-facing sides. Instead of outdoor screens, roof overhangs and wooden slats on the windows were opted for. 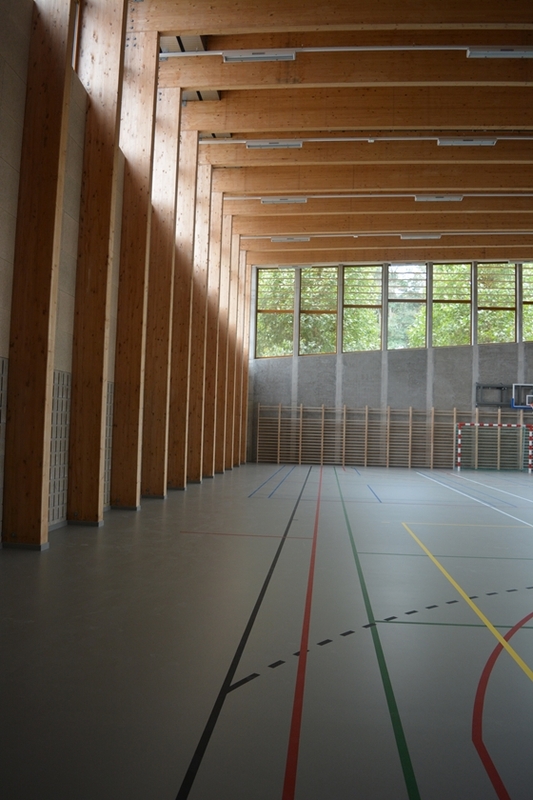 Dynamic simulations for the most critical classrooms determined the number of slatted blinds, which provide the ideal balance between sufficient light and efficient sun protection. The long heat period in the last month of July showed that the choices made also worked effectively. The contractor, who was still finishing the building, could testify that the indoor temperature was very pleasant. In fact, colleagues of his who were working on other building sites came to the school in Vuurkruisenlaan to keep a cool head during their consultation meetings!